Order the DVD with full color disc art! The DVD includes a bonus 20 minute video about the New York City Fire Department radio scandal that received very little attention. Several cities still use these radios — and they still do not work! 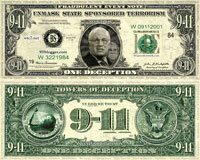 They continue to jeopardize the lives of the first responders. Based on the book Radio Silence F.D.N.Y. : The Betrayal of New York’s Bravest. 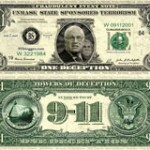 DeMasi’s 2003 statement precedes and contradicts the 9/11 Commission’s 2004 conclusion that explicitly states that the 4 black boxes were never recovered from Ground Zero. A heartbreaking, inspirational collection of first-hand stories from the recovery effort at Ground Zero, along with a startling claim that the black boxes from Flights 11 and 175 were found. For $27.95, get a copy of the book, a clamshell copy of Improbable Collapse along with some Deception Dollars and FREE Priority Mail shipping! For US customers only. For International Orders, please use our contact form to get an exact price with International Shipping. 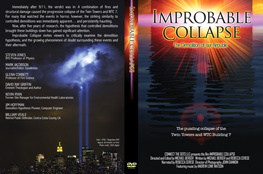 For $12.98, you get the Improbable Collapse DVD in a sealed amaray case plus the UVSC DVD, Free Deception Dollars and *FREE 1st Class Mail shipping! (*Free shipping offer available to US Customers Only, kindly email us for an exact shipping cost to your country). Click below to add this deal to your cart!